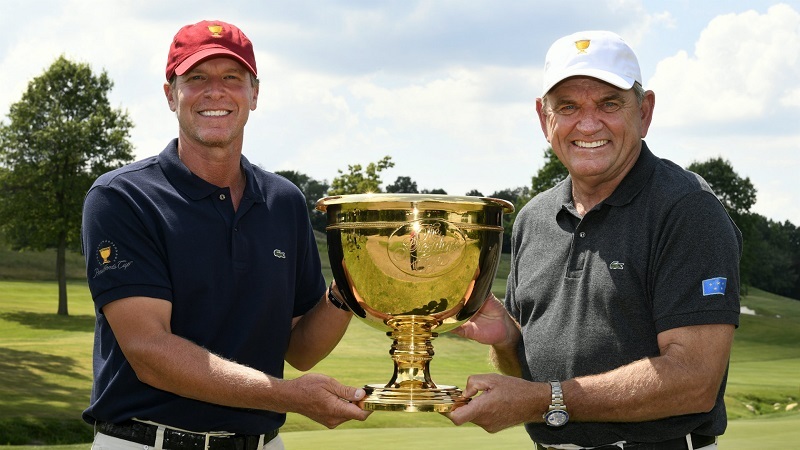 From the frequency of the event to the format of play and the prize money, the Presidents Cup is a unique professional golf event in many ways. 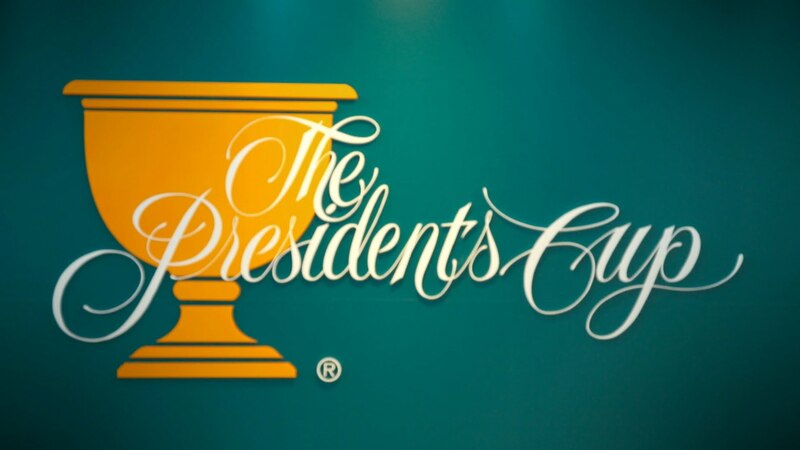 The Presidents Cup has been held biennially (every 2 years) since its inception in 1994 and is made up of a series of matches between a team representing the United States and an international team which represents the rest of the world (Asia, Africa, Central and South America, Oceania, Mexico and Canada), excluding Europe. Europe competes against the U.S. in a similar, but much older event – the Ryder Cup. The location of the Presidents Cup alternates between the United States and countries represented by the international team. The scoring system of the Presidents Cup is match play and each team consists of 12 players. Each team has a non-playing captain, usually a highly respected and renowned figure in pro golf, who is responsible for choosing the pairs in the doubles events, which consist of both alternate shot and best ball formats – or ‘foursome’ and ‘four-ball’ matches respectively. Each match is worth 1 point, for a total of 30 points. There are no playoffs, with each side receiving half a point if there is a tie after 18 holes. The format lends itself to plenty of online betting opportunities! Side: A side is a player (not a team), or two or more players who are partners. Opponent: During match play, the opposition is never referred to as a ‘competitor’, but rather an opponent or player. Four-ball: when two play their better ball against the better ball of the other two players. Foursomes: When two play against two and each side plays one ball. Singles: A match when one player plays against another. Halved hole: When each side holes out in the same number of strokes. All Square: A match is all square when each team has won the same number of holes as the other team, or when each hole has been halved. Dormie: A match when a side is as many holes up as there are left to be played is referred to as a ‘dormie’. Unlike other pro golf events in which individuals compete for prize pools made up of tens of millions of dollars, there is no prize money awarded at the Presidents Cup. The net proceeds are distributed to charities nominated by the players, captains, and captains’ assistants, and the first 10 Presidents Cups raised over $32,000,000 for charities around the world. The 2017 Presidents Cup will for the first time ever be held at the Liberty National Golf Club in Jersey City, New Jersey, starting September 26th until October 1st. The opening hole of the Liberty National is one of the most demanding as it requires two precise golf shots and anything less leaves players vulnerable to bogey or worse, but players would be unwise to think that they’re out of the woods after initial first hole success. We look forward to another thrilling Presidents Cup!